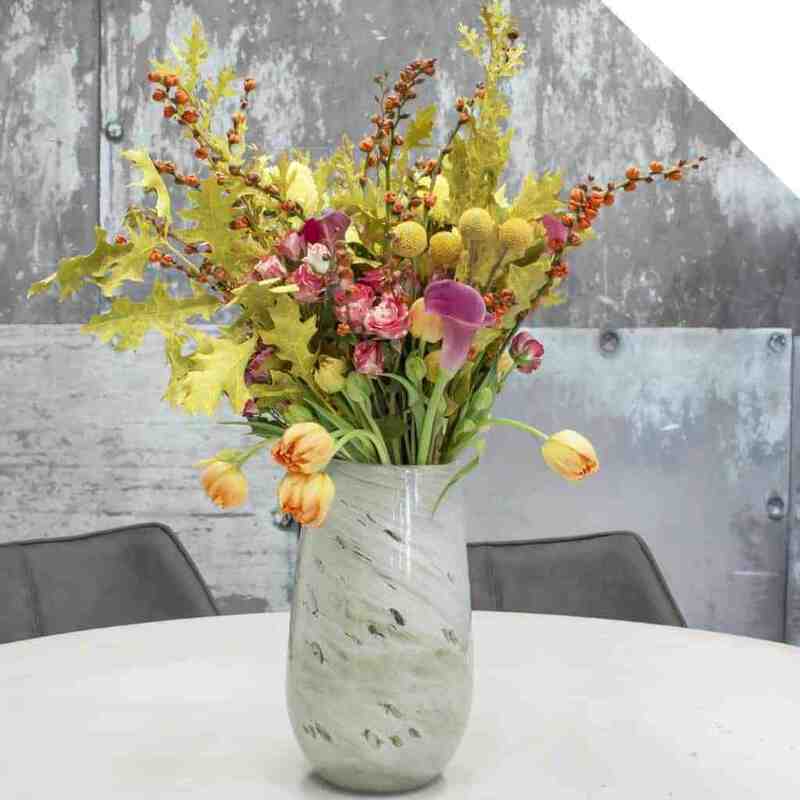 Quercus, also known as Oakleaf, is a beautiful bouquet filler. With the addition of a few branches, the bouquets get a remarkable Autumn look. Everyone recognizes an Oak tree, with its characteristic leaves and acorns. It carries notable and recognizable leaves, which are popular in the flower world. The Quercus tree had a long and rich history and was honored in various religions. Celts used Oakwood to make doors because oak stood for protection and hospitality. For the Celts, the Oak was a holy tree, their druids climbed annually in the trees to cut mistletoe with a golden sickle. Did you know? Because of this ritual, we still have the mistletoe during Christmas, where you kiss each other under the mistletoe. The mistletoe is a symbol of eternal life. During the Germanic Empire, the Oak was dedicated to the god Donar, the god of thunder. The reason for this was probably because lightning more often occurs in Oak than in other trees. An explanation for this is that Oaks have deep roots and the rough bark of the tree is a good conductor. The Greeks linked the tree to Zeus (the king of the ancient Greek gods) and the Romans to Jupiter (the god of heaven and thunderstorm). In short, the Oak was a magic tree for many peoples. The overall symbolism of the oak is vitality, stability, durability, and protection. The most common colors Quercus in bouquets are red, green and orange. Because of dying, there are more colors available, for example with Christmas purple, gold and silver are popular. 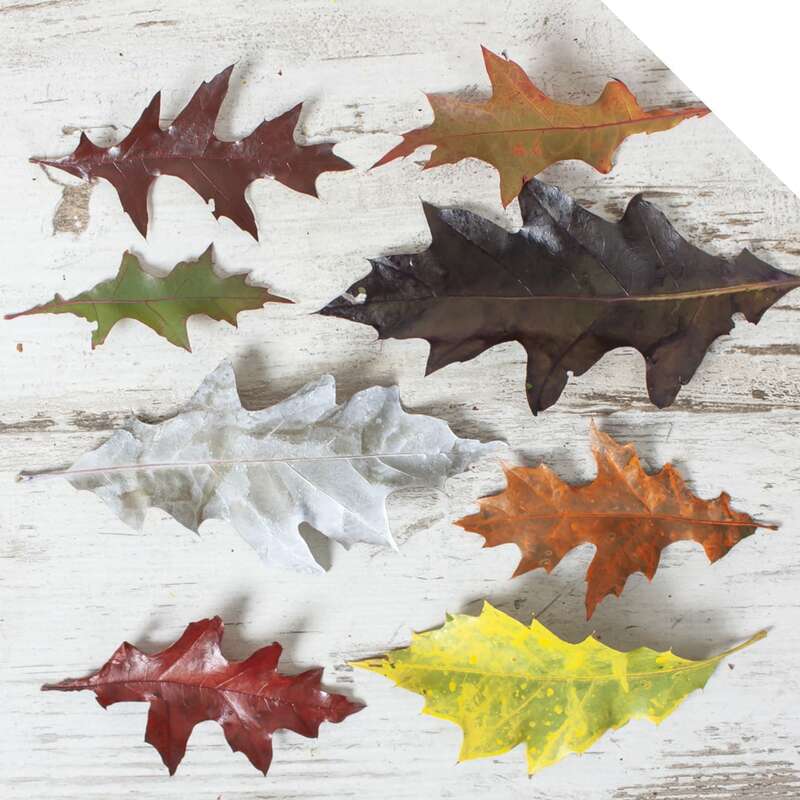 Quercus is only available in the autumn months, the start is often in September and the last leaves in November. A real seasonal product! 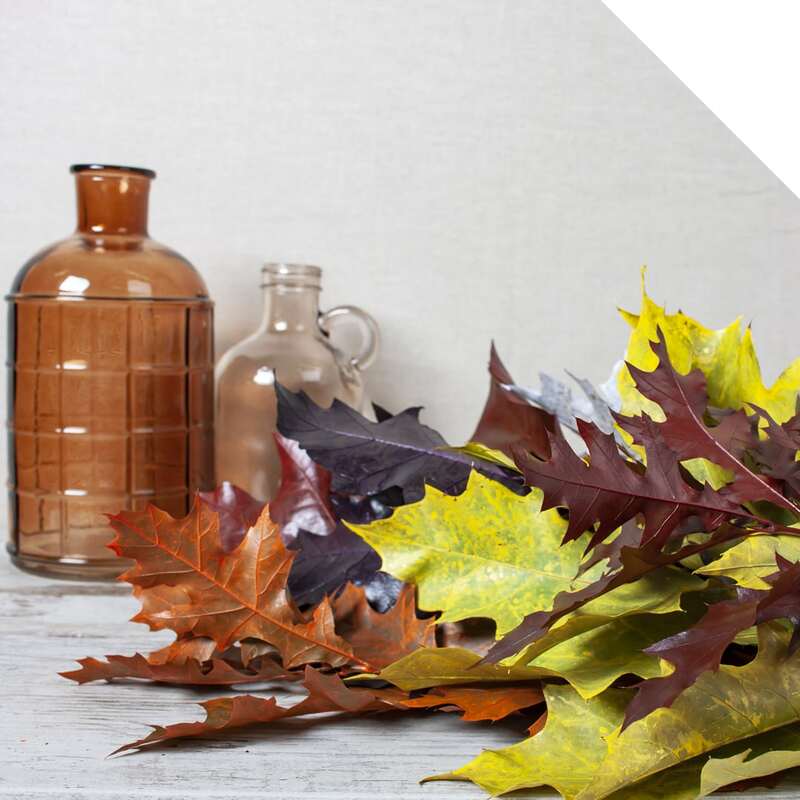 Check the Quercus leaves when you receive them, put them on water and store them in a cool place. Are the leaves dyed? Be aware that the leaves can lose some color in the water.